The FCA is investigating ways of ensuring support services firms are brought under new rules which will prevent adviser networks and nationals profiting from provider marketing payments. 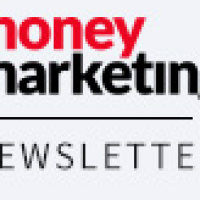 In March, Money Marketing revealed the regulator was planning to impose a “cost-only” rule on provider payments to adviser firms for services such as training, conferences and seminars due to concerns the deals could be used to secure distribution. Money Marketing also revealed the regulator was considering whether to bring support services firms into scope. It is now understood that the FCA wants support services firms to be included in the rules, however there are legal hurdles for the regulator to overcome because such firms are not normally regulated. The FCA has told providers of its intention to ensure that “where the sole purpose of a company which is not regulated is to service the intermediary market” the company should be treated as a regulated firm for the purpose of marketing payments. 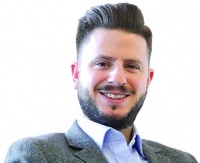 SimplyBiz joint managing director Neil Stevens says: “Where any firm has a ‘community of interest’ with financial advisers it is necessary for the FCA to ensure payments from product providers do not contravene the regulatory objectives in providing an alternative to commission or profits that in turn subsidise adviser charging. It will be interesting to get a comment from Sesame Bankhall Group on this article. I wonder what ther position is on marketing payments! The FCA is absolutely right to seek to introduce tighter regulation in this area as support providers do exercise significant influence over their advisory customers. Neil is right that the basics are in place but more is needed – especially where the product manufacturer owns an interest in the support provider as payments ‘in kind’ can be difficult to identify. The two quotes in this article show quite the contrast in business models – Simplybiz must take a reasonable share of revenue from providers, whilst 360 seem more relaxed about it. However, this does pose the question about how will 360 manage their ownership with Standard Life? Will members who use their support services have to mention the ownership when recommending SL products to their clients? I cannot believe it has taken the regulator this long to even consider treating support service companies as a regulated firm. If your business is reliant on the advice and support they provide (and indeed you pay for), wouldn’t you be more comfortable if that firm was itself regulated, even if that meant a price differential? Nice to see that the regulator thinks enough of Financial advisers support firms and Networks that they think for one second that a free seminar and lunch is likely to sway them or us to use a prticular provider and lead to the so called provider bias that the morons at the FSA could not find in their own reserch. What a total bunch of to**ers. Meanwhile unregulated companies continue to fleece joe public. People should take a step back, take a look at the content of this article and muse as to what the hell is happening within our industry this year. One rule after another, after another, all trying to curb commercial practices in view of the potential for even the most remote impartiality (any training is a good thing and if advisers don’t have to meet the cost of this as well as everything else, then surely that is beneficial to one and all…Gone are the days of using the funds to send 20 guys and girls to Crete for 2 weeks). Carry this on the back of what is already happening, add a few more no-no’s to it and some more soothsayers nodding in agreement and disdain at the greedy competition and we will be left with nothing..Consumer outcome? Zero benefit! It’s all getting a tad ridiculous now! Steve, Marty etc. If it is provider payments that keep these groups afloat then there must be a risk that they will seek to influence the behaviour of their members – however unsuccessful they may be at it. Advisers value independence for their own businesses – why should they accept less from their support providers?